Business continuity is crucial. As your trusted IT support partner we understand that backing up your critical data will prevent loss of business, time and money. Infotech’s Managed Backup keeps data secure and available at all times. We offer a variety of (on-site or off-site) backup and disaster recovery solutions to ensure you the get the best service for your requirements. If you have server failure or a disaster at your office your systems can be virtualized in just seconds, with the click of a button, thus reducing costly downtime. You can almost instantly operate ‘business as usual’, meaning your business can recover from any eventuality. Managed Backup seamlessly integrates with today’s most popular operating systems and applications to provide you with the flexibility to backup as little as one file, a specific application (such as Exchange), an entire Windows server, VMware or Hyper-V images and data, or anything in between. 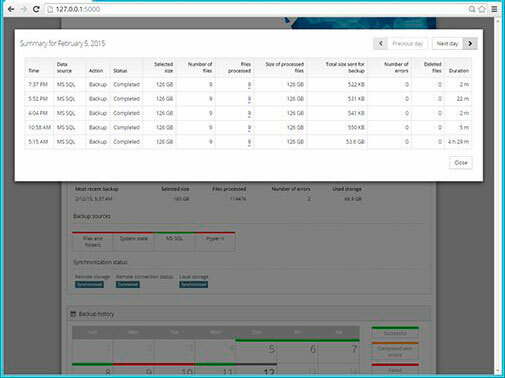 You want the ability to recover your critical data whenever you need it. Managed Backup supports file level recovery as well as drives and applications, machines with physical, physical-to-virtual (P2V), and virtual-to-virtual (V2V) recovery all being supported. Prepare for the worst and be ready every time. With some disasters, restoring to physical servers is no longer an option. 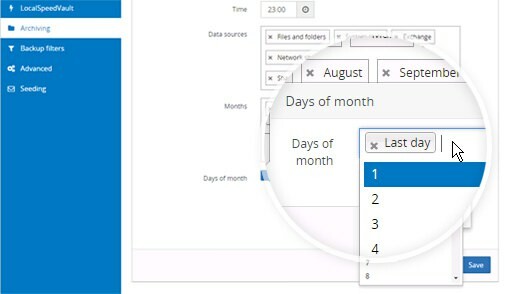 When this happens, Managed Backup can easily recover to either VMware or Hyper-V virtual servers, ensuring your business can get up and running as quickly as possible. The native integration with both VMware and Hyper-V means VM system configurations are preserved during backup, enabling a direct restore to an existing or alternate VM host without the need to manually configure the target virtual machine and volumes beforehand. Your data is stored in certified data centres worldwide. You choose in which country to store your data – and that’s where it stays, regardless of who comes looking for a copy. All data is encrypted with the Advanced Encryption Standard (AES) 128-bit encryption in motion and at rest. Every Managed Backup data centre, no matter where in the world, is either SSAE compliant or ISO certified, provides a 99.999% uptime guarantee and has 24/7 physical security. Some systems are so critical, your business data can’t wait for even the shortest of recovery times. And often these systems need to run locally to maintain performance norms. 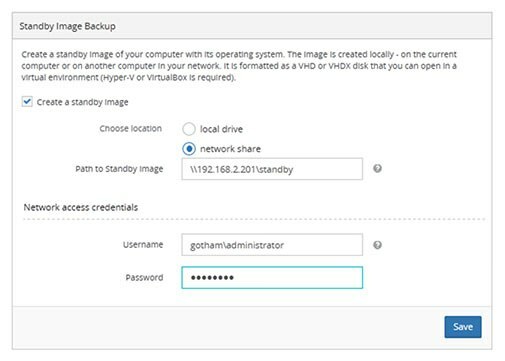 Standby Images provide the fastest way to provide your business with a bootable local image of your most important systems. Some of your business data may be subject to compliance regulations, requiring you to keep it beyond the regular backup retention period. With Managed Backup, data can easily be archived, allowing you quick, easy access and enabling you to meet compliance objectives, such as HIPAA, should the need arise. Even the backups designed to protect from system failure can fail themselves. So it’s important to know the when, where and why (hopefully) of backup failures the moment they happen. 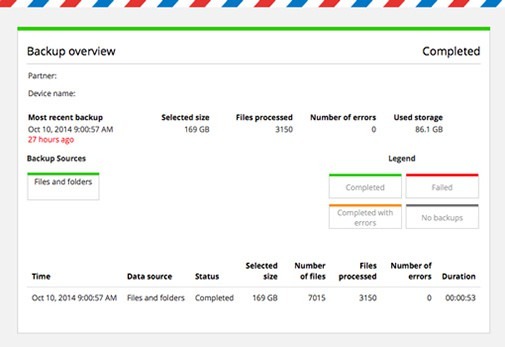 Receive email reports on the state of your backups, storage use, data selected and the success/failure of each job. 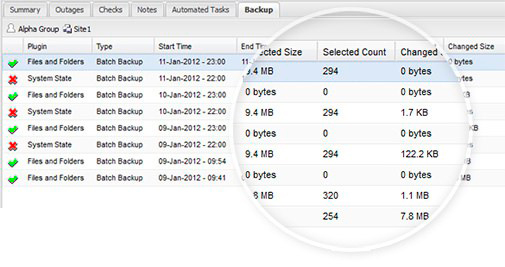 Increase the speed of backups containing large files, applications and databases by automatically tracking changes to those files in between backup jobs. This keeps backup windows short and improves backup performance. Managed Backup ensures the smallest, fastest, most intelligent backups possible by using Deep Deduplication, Altered Data Tracking and WAN Optimisation technologies. 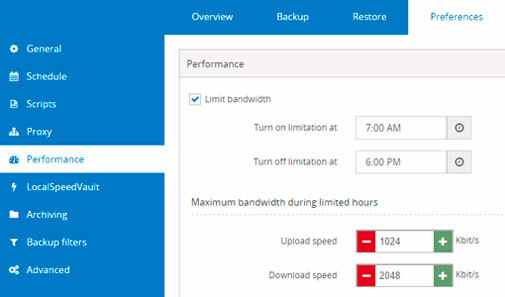 Backups complete as quickly as possible – without impacting your Internet connection or business.